Welcome back to another one of our firm profiles! Today we’re going to taking a look at Altman Vilandrie, a boutique firm based out of Boston, MA. Formed in 2002, the firm focuses all of their attention on 3 key sectors: telecom, media and technology (TMT). They describe themselves as “a unique, pure play communications and media strategy consulting group” and it seems as though they may be right about themselves. Created in 2002, Altman Vilandrie is a newbie consulting firm, so its history is short. We’ve worked with folks both going into and leaving Altman Vilandrie, so we will give you what we’ve gleaned from them and from their research. After working on the management team at CSMG, a boutique global communications, technology and digital media consulting firm (now Cartesian) Rory Altman formed the company with Ed Vilandrie in 2002. Both directors brought extensive telecoms expertise to the table; when AV was established and as new team members were added, the firm branched out into technology and media. Their headquarters are in Boston, but they have two other offices in New York and San Francisco. The New York office was opened in 2010 and the San Francisco office was opened in 2012. Whew! Did you get all of that? Altman Vilandrie is headed up by a management team of 19 directors, including founders Roy Altman and Ed Vilandrie, a COO and a director of Human Resources. Beneath them are the managers, who are considered part of the consulting team. The majority of Altman Vilandrie’s staff are based at the firm’s Boston headquarters, although the San Francisco office is poised to become more significant in the future. Though Altman Vilandrie serviced their west coast clients from their Boston office for years, the decision to open an office in San Francisco was born out of a desire to better serve their west coast clients and to develop a stronger base in the region by capitalizing on the tech industry boom in Silicon Valley. As a boutique firm, the spectrum you’ll work across is much more limited than it would be at the larger firms, but you are going to be diving deep into the projects you work on. You’ll develop faster expertise in one of the world’s fastest-growing industry subsegments – an attractive value proposition for rich learning. Strategy – Altman Vilandrie develops solutions to client’s problems based on comprehensive data analysis. Once a proposed solution is accepted by clients, Altman Vilandrie will only help with implementation when it is necessary. Bringing new products to market – As something that is particularly important in technology, media and telecoms, Altman Vilandrie helps clients identify the demand for products and help with product and service development. Operations – Altman Vilandrie dissects the everyday running of a client’s business to see what can be done better. Are customer needs being met? Are they taking up as much market share as they should? What are their competitors doing? Capital Markets – Altman Vilandrie creates forecasts to help clients make better investments. In this area of practice, they focus their attention mainly on management teams and investors. This is a unique practice area to other top consulting firms; the key businesses served by Altman Vilandrie are usually more capital intensive (and fixed-cost based) than many other sectors. Interviews at Altman Vilandrie are held over 2 rounds. Here’s what you can expect. Round 0 – A phone interview if you’re an employee referral. This will be a screening interview with HR. Round 1 – An on campus interview for students or a phone interview for employee referrals who cannot be interviewed in one of the offices. In this interview, you can expect mostly behavioral and fit type questions like “Why do you want to be a consultant? Why Altman Vilandrie?” etc. You should also be prepared to do a case in this round because Altman Vilandrie often have a little bit of everything in each of their interviews. A tip from us about Altman Vilandrie’s cases: they’re often very quantitative in nature, so you’ll need to get used to providing data driven suggestions if you want to succeed. Also, expect cases primarily from the TMT sector – focus specifically on these areas once you know you have an interview with Altman Vilandrie. Round 2 – This interview will take place in one of AV’s offices and is pretty intense. Here, you’re going to have multiple interviews, each conducted by panels of 2 more senior staff. In terms of the interviews themselves, you can expect to be put through the wringer when it comes to the cases, so again it’s vital you’re at the top of your game if you want to make it through. It’s not just the cases – there will also be a fit portion to this interview round too. Something to remember about senior staff – they aren’t necessarily going to have a list of boxes they need to tick before they can pass you. The scoring in small firms like Altman Vilandrie are based on intuition, or whether they feel like you’re a “yes” or a “no”, so you definitely want to impress them in this round. 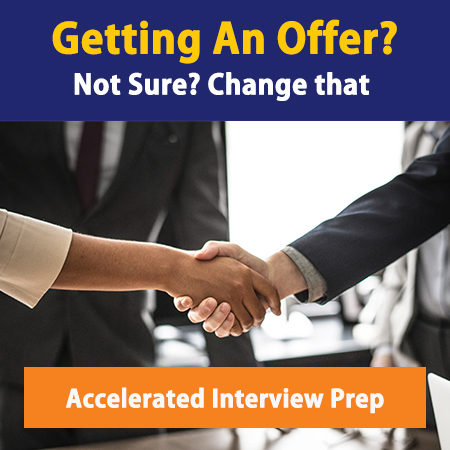 If you have an interview with Altman Vilandrie coming up, make sure you nerd up on cases and learn how to ace fit interviews by grabbing some interview prep sessions here or look through our extensive MC Consulting Case Bank. However, the firm does take employee referrals from candidates who attended similar-caliber schools (Northwestern, University of Chicago, etc. ), so network your booty off if you are interested but they don’t recruit on your campus. Analyst – Entry-midlevel level position at Altman Vilandrie. Undergrad hires will start out as Analysts. Senior Analyst – If you’ve had some experience in the field, but not an MBA or equivalent, you’ll be hired into this position. Networking experienced hires get placed here. You can also get promoted to this role from the Analyst position. Consultant – Got an MBA or 4+ years of strategy consulting/other relevant experience? This one is for you. It is possible to be directly promoted without going to get an MBA. Manager – As a Manager, you’ll be expected to lead in a number of ways, from projects to community service initiatives and recruiting. As such, you’ll need 4+ years post MBA experience and/or another relevant advanced degree with a specific background in TMT. As for internships, Altman Vilandrie does offer summer internships, although they’ll call you a Summer Analyst. It’s a 10-week long process that’s open to undergraduate juniors. Good grades, leadership and an interest in TMT are non-negotiable. Though very promising, Altman Vilandrie is still a very young firm, so in that respect, this is a limiting factor with regards to exit opportunities. However, as a highly proficient firm with a growing reputation, recruiters reach out to other top firms’ current employees (think McKBain) because of their consulting skills and industry expertise. If you’re applying to Altman Vilandrie with the hopes of transitioning into pure strategy consulting later on, it’s a great plan. It’s actually quite difficult to get a job at MBB right out of most technology-focused firm because they’ll feel as though you won’t be able to see the bigger picture, but at Altman Vilandrie you’re focused on strategy and operations for tech firms, not tech work – so it’s a whole different story. It may be that Altman Vilandrie is a firm you work at before completing your MBA or working at an in between firm for a few years before applying for MBB, but the leap is definitely possible. If you think you’d like to spend a significant proportion of your life doing TMT work, however, then Altman Vilandrie may not be only a good option – it may just be the perfect firm for you. Because of the practice area span inside TMT, Altman Vilandrie doesn’t work exclusively with C-suite clients in the same way that MBB do. Their clients are owners at many levels inside organizations, so this is another limiting factor, but as TMT specialists, your options in this field will abound. Some of its previous employees have gone on to work at other TMT firms, tech firms like Google, venture capital and private equity firms, with some even breaking into MBB. Another thing we should note is the possibility of taking that step into the tech startup world. In case you haven’t realized, tech start-ups are taking over the whole freaking world right now. Couple this with the oft quoted fact that one year in consulting is worth three years in industry, then working for a good TMT consulting company like AV may very well open up some very exciting doors in the future. Altman Vilandrie describes itself as a true meritocracy. It’s a place where you don’t compete with your colleagues for promotions; you compete against yourself. If you can show you’re good enough, you’ll get the promotion – the firm is young and growing, after all, so it’s much easier to take people who have assimilated the culture and grow them than it is to skill and assimilate new staff from the ground up. It’s not about how long you’ve been there, it’s just about how good you are. The potential downside of this is that Altman Vilandrie doesn’t require an MBA for employees to reach management level, which can be irksome to those who have spent all that time and money on an advanced degree. With such a small staff team, you get some great access to the firm’s senior consultants as you rub shoulders with them on projects. Along with giving new hires great look at the nuts and bolts of the firm, it gives also gives them numerous opportunities to learn from senior staff as well as creating a close community feel. As with any consulting job, the hours can be very long and the work is high pressure in nature. However, your salary, which is only a few thousand dollars less than your MBB counterparts, is a great offset. Altman Vilandrie also has a great unique selling point in that it is a low travel firm. While other consultants may be away on projects from Monday to Thursday every week, AV staff members do most of their work from their offices, unless a client requests that they travel. Altman Vilandrie has been growing its culture and organization steadily over the years, and business is booming. It’s now at the point where the firm is turning down work because they don’t have the supply to meet the demand. Morale is also high at the firm, with employees and clients alike being very happy with the work Altman Vilandrie produces. As the firm grows, it plans to structure and update its processes to maintain scalability. Only time will tell, but the future for Altman Vilandrie looks bright. AV the right fit for you? This may seem a bit unfair of us, but we couldn’t help but notice that Altman Vilandrie was conspicuously absent from all social media platforms. This really isn’t a big deal, but it does seem to be deliciously ironic that a specialist Tech and Media firm doesn’t have much of a presence in the social media world. Is this a deal breaker? Absolutely not. Is it at least a little bit funny? Yes. Most assuredly yes.